This entry was posted in Uncategorized on September 28, 2013 by antiqueteacher60. So, today, I did the Core Knowledge Skills Strand Lesson 1 from Module 1. This is the lesson that SHOULD HAVE been taught on Day 1 of Second Grade. There were many materials that I didn’t have – flip picture cards (hat, cat, sad, etc), and some things I didn’t do – the word dictation and “word chaining” (at — cat—bat—bad–mad–map). I think the “word chaining” was meant to be written as I read, but I looked at that and decided to skip that too. I thought “Let’s get right to the reading bit.” I passed out the workbooks (printed by our BOCES Center and sold to us) and had my students open to Lesson 1.1. 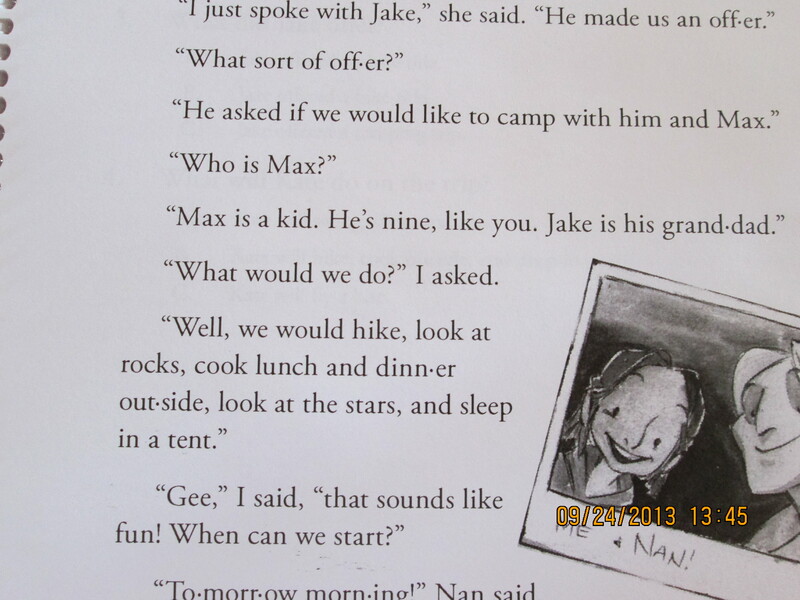 There was a story for them to read and on the following page 4 questions to answer. I had great confidence that most of them could this in about 5 minutes or less – I know them well as they were my first graders last year. I anticipated which students may struggle and was prepared to pull them as a small group to work at the table with me nearby, but still doing most of it on their own. 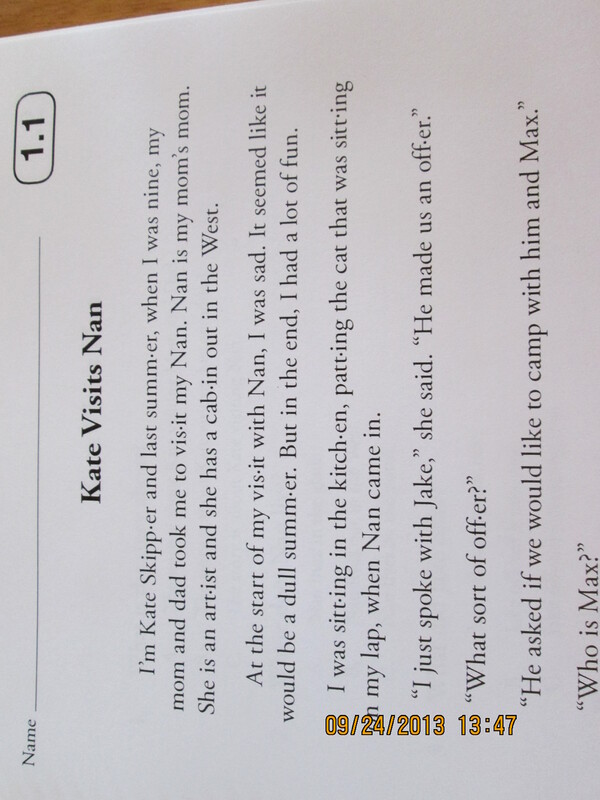 So, apparently, in “real world texts”, words have little dots separating the syllables? Have you ever read anything like this? Of course not! 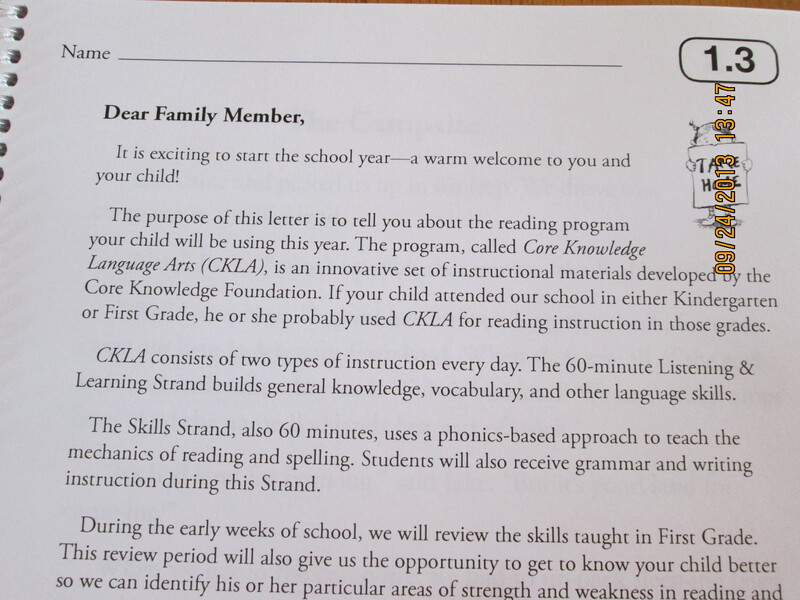 Why on earth would second graders be given text that looks like this? This does NOT look like anything they read anywhere else. Well, no wonder my “kids” didn’t know what they were reading! Yeah, thanks engageny for THAT! Now, of course, in all the wisdom that engageny possesses (yeah, I’m being sarcastic) the words in the questions do NOT have those little dots. Thanks engageny for THAT too! 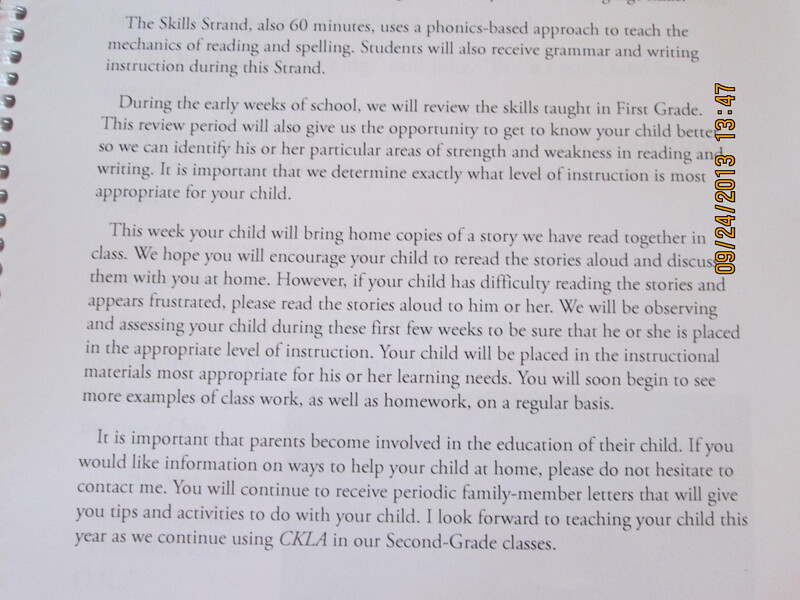 Following this lesson (remember which was to be taught on the first day of school) there’s this gem of a parent letter that they were supposed to take home. My students? NOPE – they didn’t take it home, but Thanks engageny for THIS too because you know, I am unable to write my own parent letter. Yeah, because it makes sense to teach compound words with words that aren’t even real. Thanks, engageny! This entry was posted in Uncategorized and tagged engageny, first day of school, NYSED, second grade ELA, skills strand on September 24, 2013 by antiqueteacher60. Lesson Plans? I don’t need no stinkin’ lesson plans! 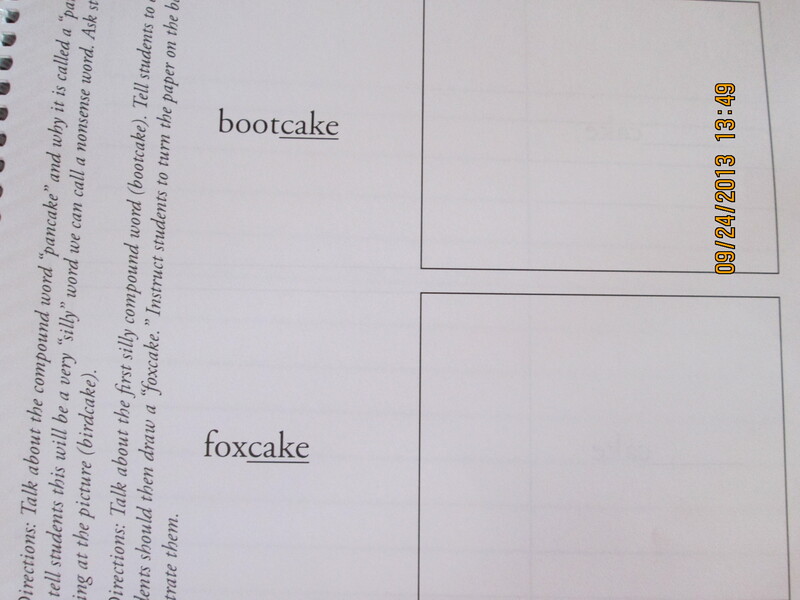 This entry was posted in Uncategorized on September 22, 2013 by antiqueteacher60.